Lily Belle was beyond thrilled to get the chance to help Sara's vision come to life. 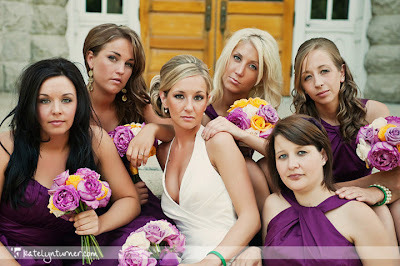 She loved vibrant purples and bright greens, and she wanted her colors to pop while showcasing her contemporary style! Here are a few pictures of the reception flowers! The green centerpieces were offset by the deep purple linens and everything came together amazingly! 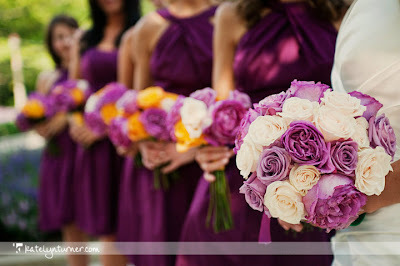 Keep a look out for more pictures of the bouquets and bridal party flowers! We are gearing up and getting everything finalized for Jason and Corrie's big day Labor Day weekend! To say I'm excited would definitely be an understatement. 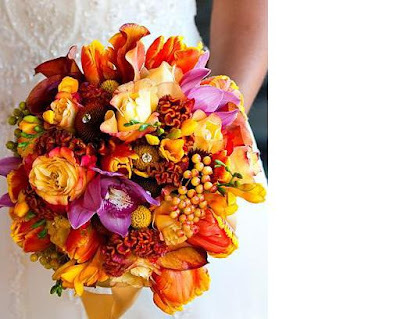 Corrie loves the oranges and browns of your typical fall wedding, but typical fall flowers is the LAST thing she wanted. 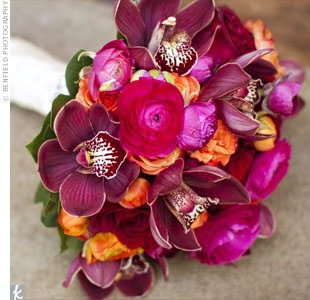 We decided to do a twist and bring in accents of a pinkish-purple color with cymbidium orchids. 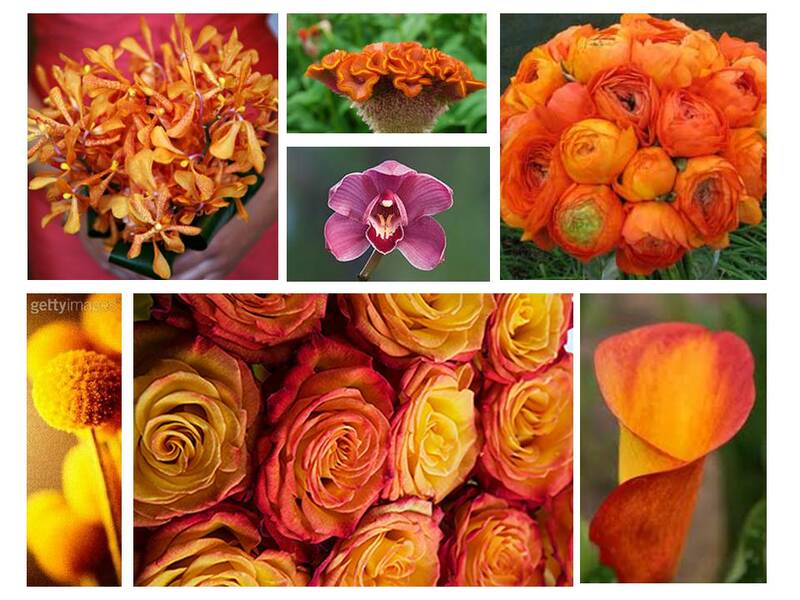 Here is a little teaser of what flowers will be included! 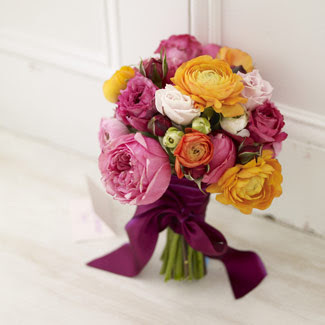 Here is the bouquet that both Corrie and I fell in love with! Corrie's won't be exactly the same, but it was the general concept of the different textures and accent colors we liked! 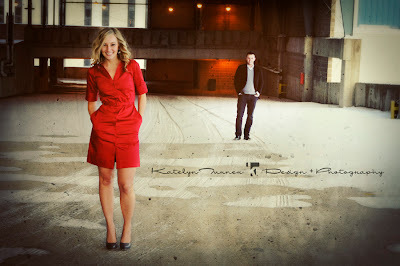 Keep an eye out soon for pictures of their wedding! We're so excited for you Corrie and Jason! First things first, I am starting with the infamous shoes that set the tone for the entire wedding. 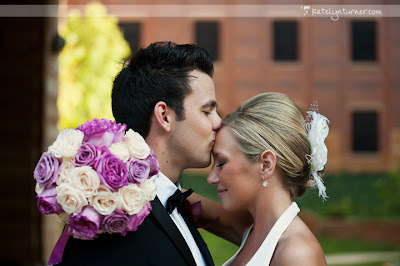 I am so overjoyed to share the pictures with you from Matt and Emily's wedding. Everything about the weekend was pretty much beyond perfect. 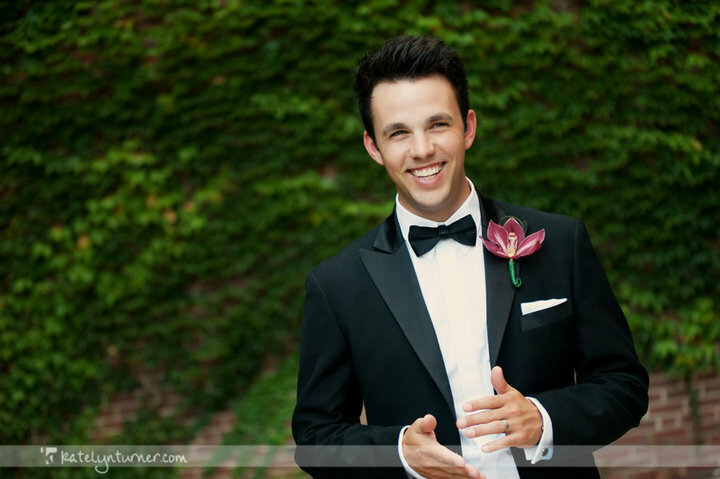 From silly Father Jerry "Curl" who was a stickler for hands in the pockets, to the beautiful moment when Emily's dad walked her down the aisle and learning how to "Dougie" with grandma, it was all exactly as it should be. After the rehearsal dinner I flew home from Bloomington to Chillicothe and went straight to work on Emily's flowers. I was beaming with excitement the entire time, just loving how everything was coming together and knowing how much Emily was going to love it. Emily is one of those people who you don't find very often in life. She has the biggest heart of anyone I have ever met and would literally give you her last pair of underwear if you needed it. She would drop everything in a second if any of her friends or family needed her, and I'm really not saying that to be nice and mushy! This only made me that much happier that I was able to lend Emily and Matt a hand on their wedding day and take a little stress off of them. Ok, we can't forget about Matt too! He's such an awesome guy with one of the best sense of humors. He's fiesty, witty and been Emily's rock whenever she needed him. Can you tell how much I love these two? Wait, did I mention they are both insanely good looking?? Here are some of their wedding pictures done by the lovely and talented Katelyn Turner Photography that really show off the wedding flowers. We used flowers from all over the world, but the star of the bouquets were the beautiful garden roses that smelled just as sweet as they looked! The colors pulled everything together, and I couldn't have been happier with the way they all turned out! Thank you Matt and Emily for letting me share your special day with you! I love you both and couldn't be happier for you. You truly are the epitomy of a perfect couple! Bear with me everyone! This is my first official blog, and I'm still working out all the kinks! While I'm working on my website I wanted a place where everyone could follow me and see the work I'm doing. Let me start with saying how incredibly blessed I have been with Lily Belle and how everything just seemed to fall perfectly into place!A big thanks goes to everyone who has helped me along the way. I couldn't have done it without you! I also have the privilege of doing Matt and Emily's wedding flowers, and I am beyond excited. Emily first found the most amazing pair of "purplish" burgundy shoes, and that is literally what set the tone for the entire wedding. 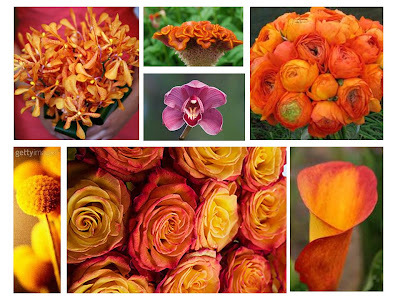 Here is a little sneak peak of the beautiful creations we have stirring up for next week. We were inspired from these two bouquets we found pictures of, and Emily told me to run with it and make her something beautiful and perfect!Keep an eye out in the next few weeks to see what Lily Belle created for Emily and Matt!